Summary: The intern will work with Deputy Director or designee on the development of a dynamic, interactive and results driven Media / Communications campaign. 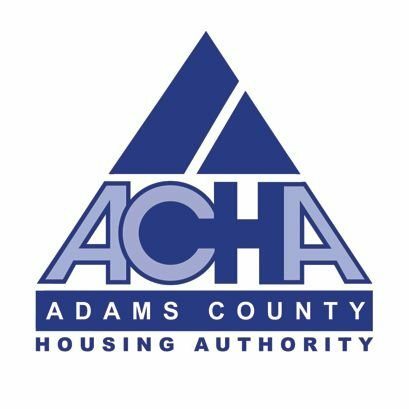 The Intern will strive, through the campaign to tell the story for ACHA departments which will enable the educational component to resonate with Adams County government officials, key stakeholders and the general public ultimately resulting in “Empowering Individuals and Strengthening Communities”. 1. Become equipped with the tools to effectively communicate the challenges of a poverty fighting Housing Authority. 2. Gain experience working with the largest landlord and provider of affordable housing in Adams County. 3. Ability to apply technical skills learned in graduate school to real world programmatic challenges. 4. Opportunity to develop program evaluation to demonstrate successes and areas in need of improvement of ACHA’s communication strategy. Essential Duties and Responsibilities may include the following depending upon the active projects and their respective stages. Other duties may be assigned. • Assist Deputy Director or designee to support strategic efforts, including drafting, review / edit and distribution of press releases. • Provide product / service support in order to establish proper channels of information and effective communication strategy. • Work with Deputy Director or designee on projects dealing with media relations, business communicationsespecially success stories for ACHA departments. • Assist with ACHA media efforts including disseminating external communications that advance ACHA initiatives. • Develop social media editorial calendar and posts for timely release of ACHA’s story. • Design and produce visual marketing materials. • Generate graphic images, animations, sound, text and video into consolidated and seamless multimedia programs. • Hands on work involving the preparation of displays, equipment and marketing media: design, edit, proofread, print package media as well as setup at venue. The intern is required to comply with all published policies and procedures established for ACHA. Travel as deemed necessary but would likely involve local travel within County with mileage as a reimbursable expense. • Customer Focus – Builds customer confidence; is committed to increasing customer satisfaction; sets achievable customer expectations; assumes responsibility for solving customer problems; ensures commitments to customers are met; solicits opinions and ideas from customers; responds to internal customers. • Dependability – Meets commitments; works independently accepts accountability handles change; sets personal standards; stays focused under pressure; meets attendance/punctuality requirements. • Integrity/Ethics – Deals with others in a straightforward and honest manner; is accountable for actions; maintains confidentiality; supports company values; conveys good news and bad. Including Personal management, including time management & interpersonal skills. • Interpersonal Skills – Has good listening skills; builds strong relationships; is flexible/open-minded; negotiates effectively; solicits performance feedback and handles constructive criticism. • Job Knowledge – Understands duties and responsibilities; has necessary job knowledge; has necessary technical skills; understands company mission/values; keeps job knowledge current; is in command of critical issues. • Team Work – Balances team and individual responsibilities; Exhibits objectivity and openness to others’ views; Gives and welcomes feedback; Contributes to building a positive team spirit; Puts success of team above own interests; Able to build morale and group commitments to goals and objectives; Supports everyone’s efforts to succeed; Recognizes accomplishments of other team members. • Judgment – Displays willingness to make decisions; Exhibits sound and accurate judgment; Supports and explains reasoning for decisions; Includes appropriate people in decision-making process; Makes timely decisions. • Quality – Is attentive to detail and accuracy; is committed to excellence; looks for improvements continuously; monitors quality levels; finds root cause of quality problems; owns/acts on quality problems. All interns must be actively enrolled and in good standing at or recently graduated (no more than 3 months) from an accredited university or college in academic year 2017, maintain a cumulative GPA of 2.5 or above and be willing to provide proof of current enrollment, and a current transcript of grades for their most recently completed semester. Education Focus: A Bachelor’s degree or higher in Communication, Journalism or related field. Ability to read and interpret documents such as safety rules, operating and maintenance instructions, and procedure manuals. Ability to write routine reports and correspondence, to speak effectively before groups of customers or employees of organization. Ability to add, subtract, multiply, and divide in all units of measure, using whole numbers, common fractions, and decimals; Ability to compute rate, ratio, and percentages. Computer literacy, including personal computing, accuracy in data entry, and knowledge of program-related software. While performing the duties of this Job, the employee is regularly required to sit; use hands to finger, handle, or feel; and talk or hear. The employee is occasionally required to stand; walk; reach with hands and arms; climb or balance and stoop, kneel, crouch or crawl.